Remember Lisa Palmer’s design advice from this post Our Best Design Advice from the Staff at The Millionaire’s Daughter? Lisa Palmer, of Lisa Palmer Design Certified Interior Decorator, works part-time in The Millionaire’s Daughter Aurora store and full time as an inspiring interior designer serving York Region, Toronto, Muskoka and surrounding areas. While working in our store, Lisa does the most amazing job creating eclectic vignettes and staging our expansive showroom. Lisa is constantly finding treasures from The Millionaire’s Daughter and working them into highly functional design concepts. 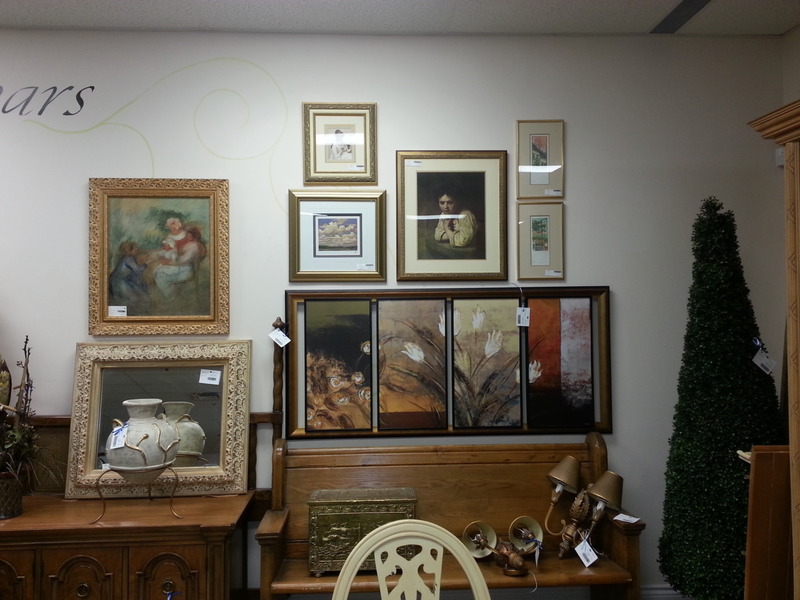 Now we are going to turn this over to Lisa and she is going to give you all some advice of creating an Art Gallery Wall in your home! Lisa: Since 2003 I have pursued my dreams of making the most of peoples homes – I see possibilities every where. Now, eleven years into this business, I am fortunate enough to bring my creative ability, talent and vision to The Millionaire’s Daughter in Aurora. Come and meet me here, tell me your vision and lets make it happen – yes you CAN love that space again, live in that space again and find beauty in that space again! We have loads of affordable, beautiful and unique items to offer as well as expert design advice here or in your own home. 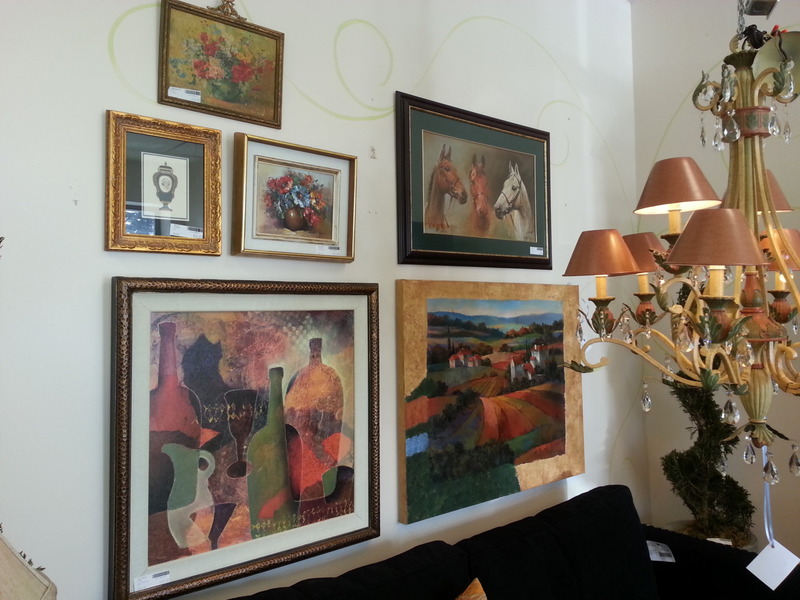 The perfect way to make a statement in your home is to create an art gallery wall. It’s a statement all about you, your family, your interests, or just a grouping of colour or black and white. 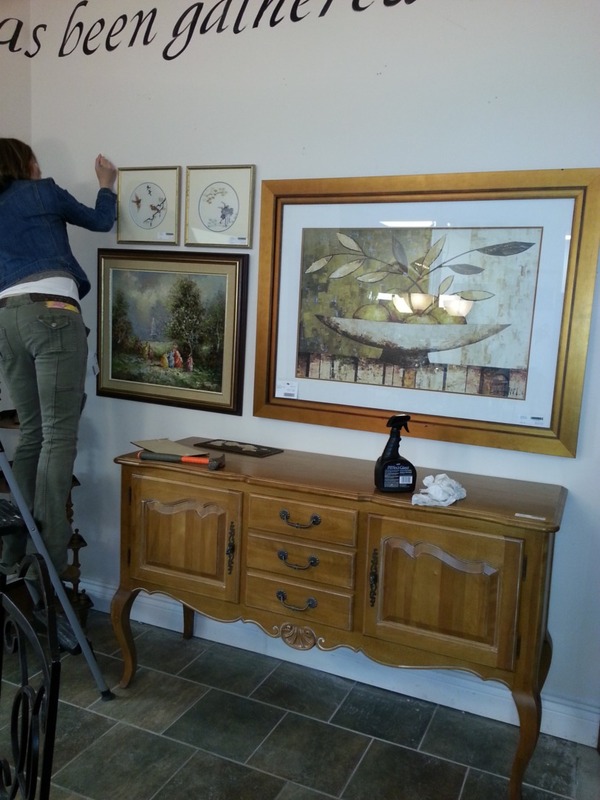 First, take measurements and purchase frames or art to fit within your wall space. At the Millionaire’s Daughter, we carry hundreds of beautiful, unique pieces just like you! 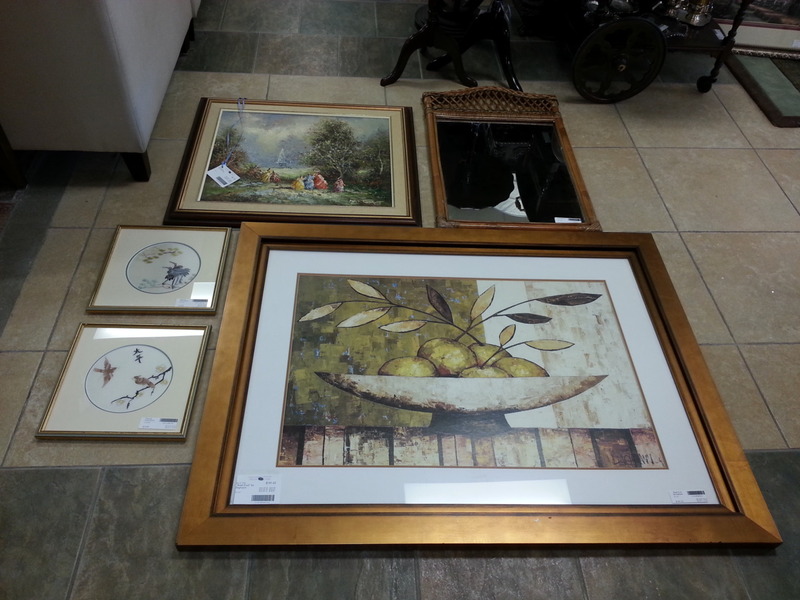 We sell loads of frames too – just add a coat of paint and your own image and you’ve created your own masterpiece. 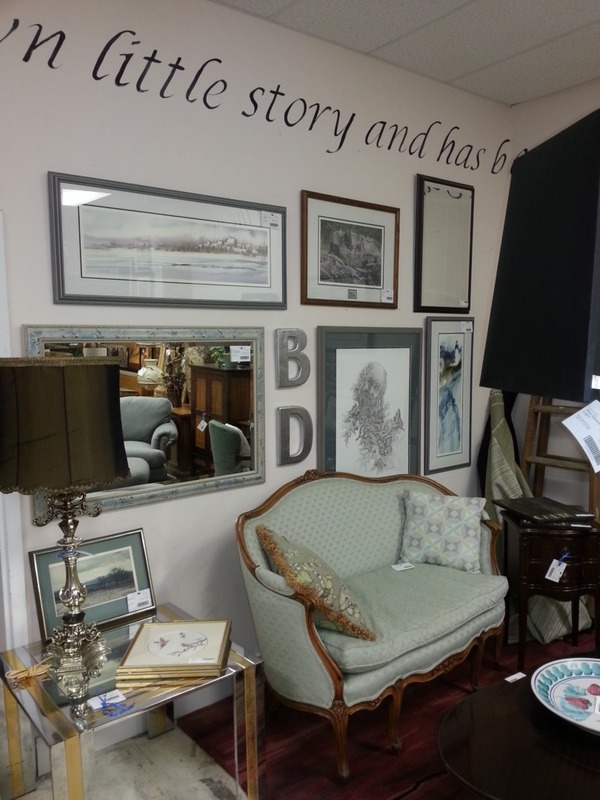 Frames and images do not need to match – go on, mix high-end with shabby chic or random colours and images. Next, arrange on the floor in an aesthetically pleasing way (even snap a quick picture for reference) and hang on picture hooks. Need some inspiration? Here are some of the amazing gallery walls we have created at The Millionaire’s Daughter to feature consignment Artwork and Wall Decor. Have a design inquiry? Need to refresh your space? Contact Lisa at lisa@lisapalmerdesign.com, give her a call 905.717.2495, or drop by The Millionaire’s Daughter Aurora store and chat with Lisa and see her work her magic in our store!